We have some new books in this week, Madder 1 and Madder 2 by Carrie Bostick Hoge and Hannah Fettig’s Home & Away. Carrie Bostick Hoge is a knitwear designer (and photographer, stylist, mother) who lives outside Portland, Maine with her family. Her work has been much featured in various Brooklyn Tweed collections, Interweave Knits and Quince & Co, and is instantly familiar and recognisable for its clean lines and thoughtfully applied details that are quietly beautiful but never fussy. Camilla in its adult sweater iteration. As Carrie explains in Madder, she homes in on a particular stitch pattern or motif and then builds a suite of stories around it. Madder 1 features four stitch stories – Camilla, Sibella, Imogen and Beatrice – applied to 22 cowls, scarves, blankets, tees, adults’ and kids’ garments. 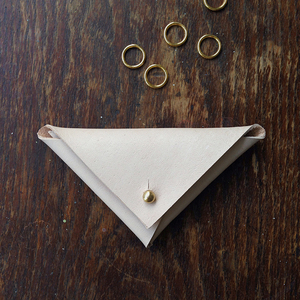 Follow Carrie’s soulful blog Madder for the stories behind their creations. Her second collection, Madder Anthology 2: Simple Pleasures, features patterns for 11 sweaters and 6 accessories. This collection features one of our favourite patterns, Lila, which looks deceptively simple and knits up quickly, but the curved edge and the neckline are especially well balanced. Charlotte Light, another pattern from the book, is a top-down cardigan that can be made with or without the A-line shaping. Mention the name Hannah Fettig, and the first two things that come to mind are her Whisper Cardigan and Featherweight Cardigan, which altogether have had about 10,000 Ravelry cast-ons, which is testament to their versatility and enduring appeal. Hannah also lives in Maine with her family, and like Carrie, has an impressive pedigree – Interweave Knits, Brooklyn Tweed, and her books Closely Knit, Coastal Knits (with Alana Dakos) and other Knitbot publications, which can be found on her blog Knitbot. Hannah’s work features classic designs and simple lines that are timeless, have exquisite drape and highly wearable from season to season, year to year. The elements complement each other rather than compete for attention, and while she is well known for her fine-gauge knits, her work spans the spectrum of yarn weights. Home & Away is Hannah’s latest collection of nine patterns for knitters of all skill levels, and the patterns can be knit seamlessly or with seams. 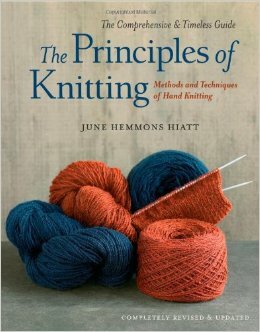 The book also offers advice on gauge, fit and yarn substitution. The jumper on the cover, Lesley, is a quick knit in aran-weight yarn, with a graceful neckline. Georgetown is vintage Fettig: a cardigan in a comfortable open fit, finished with a folded collar that gives the piece tailored-like structure and pulls it all together. Categories: books, Knitting, New | Tags: Carrie Bostick Hoge, hannah fettig, Knitbot, Madder | Permalink.